From an unspoiled rainforest and pristine beaches, to London-inspired colonial architecture and a vibrant nightlife: the Caribbean island of St Kitts has something to wow everyone. Start with a trip on the St Kitts Scenic Railway, which is the perfect way to get an instant feel for the island’s history and geography. The tour takes around three hours and makes a complete 30-mile circle of the island by train and bus, meaning you’ll get a glimpse of almost everything the island has to offer in one morning or afternoon. Prepare to see spectacular ocean views, lush rainforest, quaint and charming villages, historic but now abandoned sugar cane estates, and many other notable sites. Helpful guides are on hand to answer any of your questions about the island. After the trip by rail, you’ll be eager to delve deeper into the history and culture of St Kitts. The UNESCO World Heritage site of Brimstone Hill Fortress is probably the island’s most well-known site and makes for a fascinating place to visit. Built under British command in the 17th and 18th centuries, the fortress is well-preserved and is a particularly good example of British colonial fortifications. The fortress played a key part in many battles between the French and British who fought to control the lucrative sugar industry, until it was abandoned in 1852. As you would expect, the fortress has unbeatable vistas over the island and ocean, and on a clear day, the views are second to none. The island’s capital, Basseterre, is the perfect place to get acquainted with the local island culture. You’ll notice plenty of British and French influence in the architecture of Basseterre. Visit the ornate and particularly grand Roman Catholic church on Independence Square and then explore the lively surrounding streets on foot. You will note the very British-sounding street names and some very grand colonial buildings from another very fine era. No doubt you will also be struck by the similarity between the Circus of Basseterre and London’s Piccadilly Circus. Downtown Basseterre is very charming, indeed. Once you’ve built up an appetite, get a taste of authentic Caribbean cuisine in one of the many restaurants, or sample some deliciously fresh Caribbean fruits from the many Basseterre street vendors. 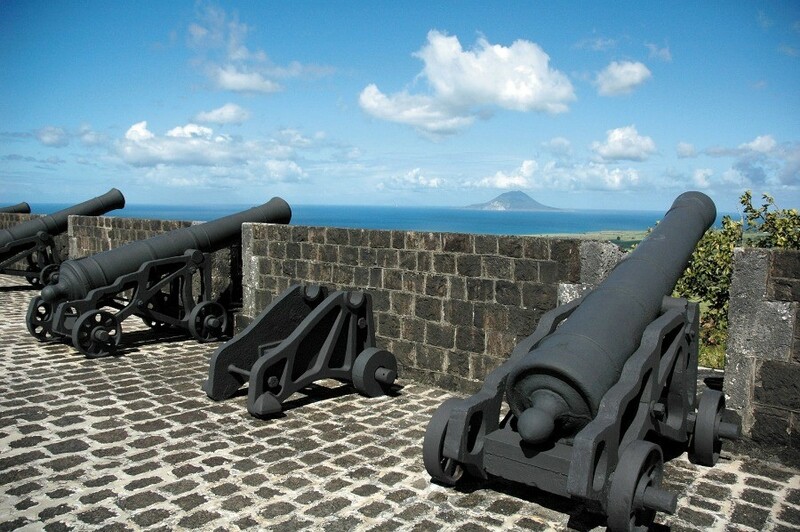 Basseterre is also home to the St Kitts National Museum, where you can brush up on the island’s history. Exhibits explain the island’s past, from the sugar and slave trade and colonial times, through to the modern, independent St Kitts of today. Many say the island’s beauty is best witnessed from the water. From a boat, you can admire the many secluded coves and unspoiled coastline. Take a snorkeling trip, and you can also appreciate the magnificent coral and treasure trove of sea life that lie beneath the surface of St Kitts’ crystal clear waters. A popular spot for snorkeling is picturesque Shitten Bay. The area has a dark past as an important stopping point during the slave trade, but now offers nothing but calm and peaceful waters. After a busy time visiting the top sights of St Kitts, you’ll be on the lookout for a great place to relax. Frigate Bay is a hive of activity for locals, international residents and tourists alike. People love the South Bay here in Frigate Bay for its restaurants and bars, which have the typically vibrant welcome you can expect from the Caribbean. The area is a great place to relax and unwind during the day, as well as in the evening. These 5 places merely skim the surface of St Kitts: there are hundreds of places to visit and things to do, from rewarding mountain hikes, to catamaran trips, to just enjoying peaceful times on the many spectacular beaches. 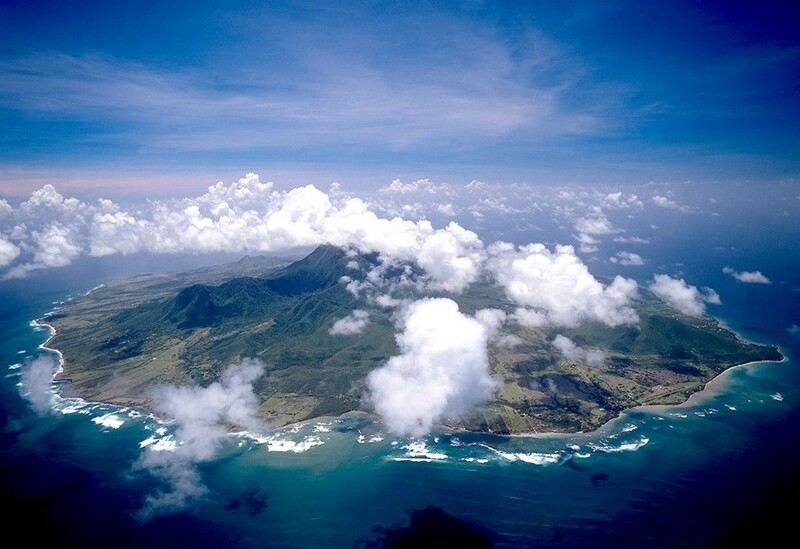 However long you have to enjoy St Kitts, you can be sure your time spent exploring the island will be richly rewarding.